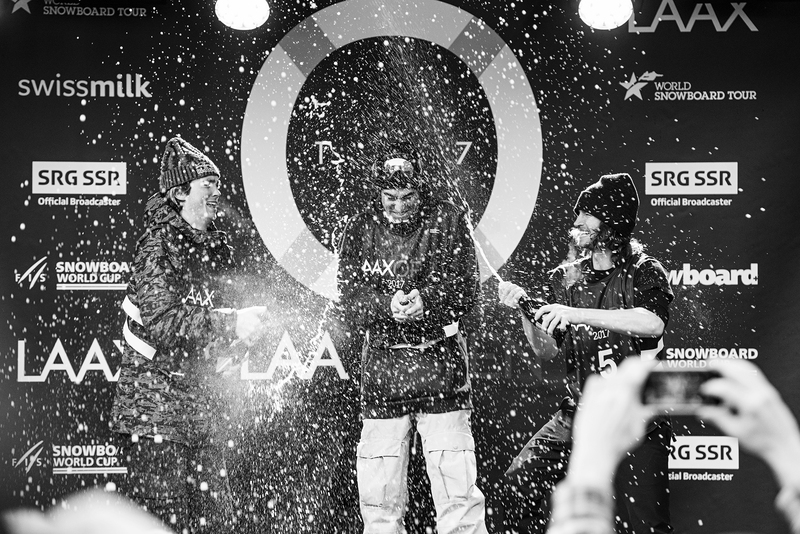 Kuno’s on the come up, so we were really excited to draft him for the yearly pilgrimage to Laax. 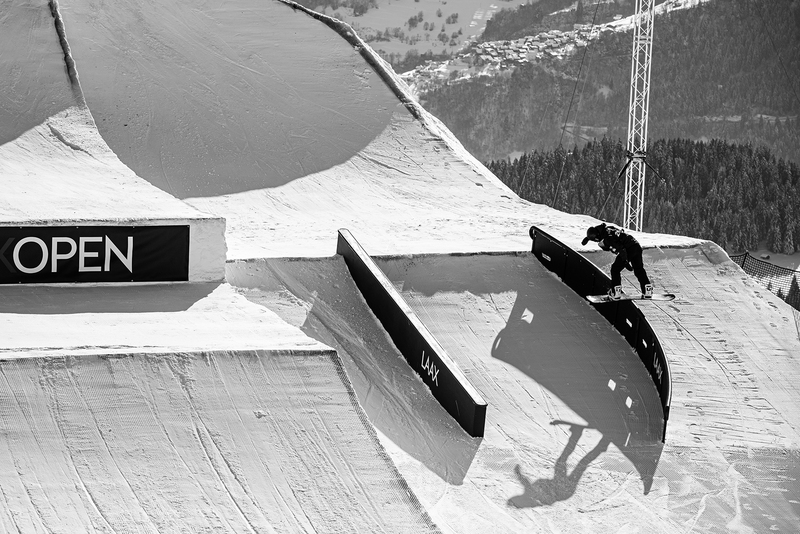 He came equipped his trusty polaroid and some big ideas for helping to expose some of Switzerland’s rising talent, when the harsh reality of the elements hit him hard, offering the unwelcome souvenir of four 2nd degree frost-bite burns on his shooting hand. 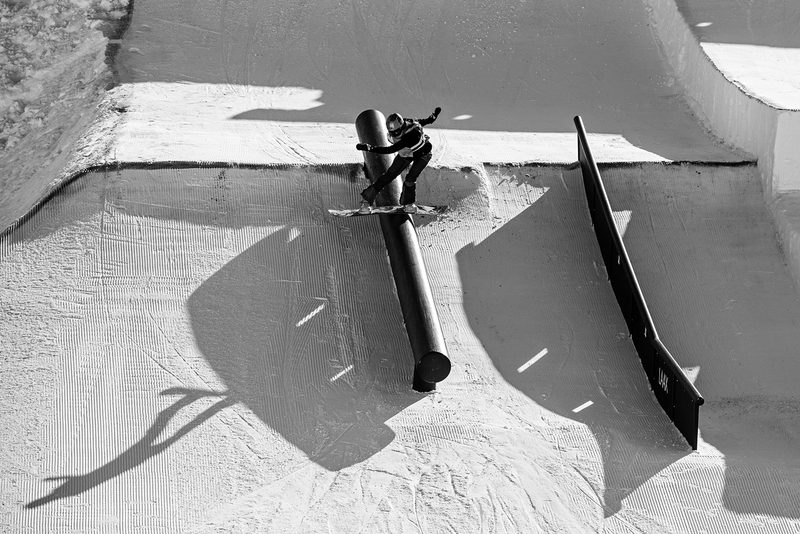 It was so gnarly looking I couldn’t even bring myself to take a photo, but he’s already healing up well, so I’m sure you’ll be seeing more creative shots from him soon (like this one). 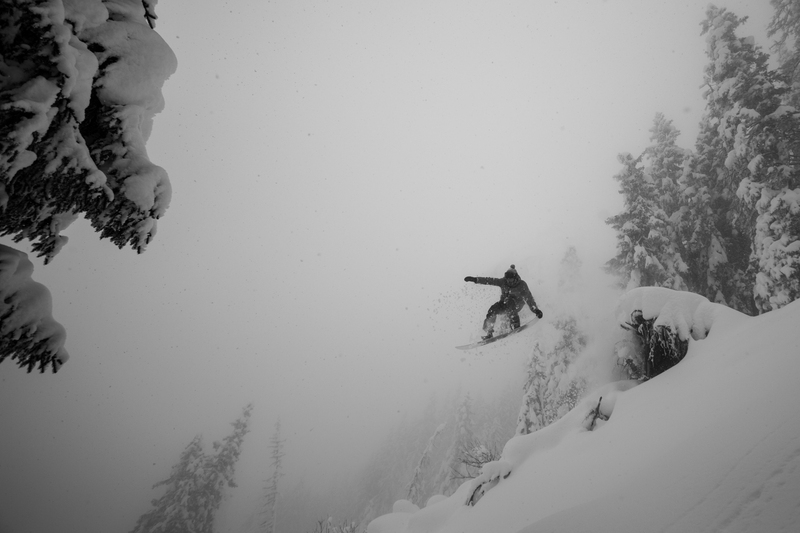 Original framing, positive energy and an eye for style is what makes Kuno one of our favorite new photographers. 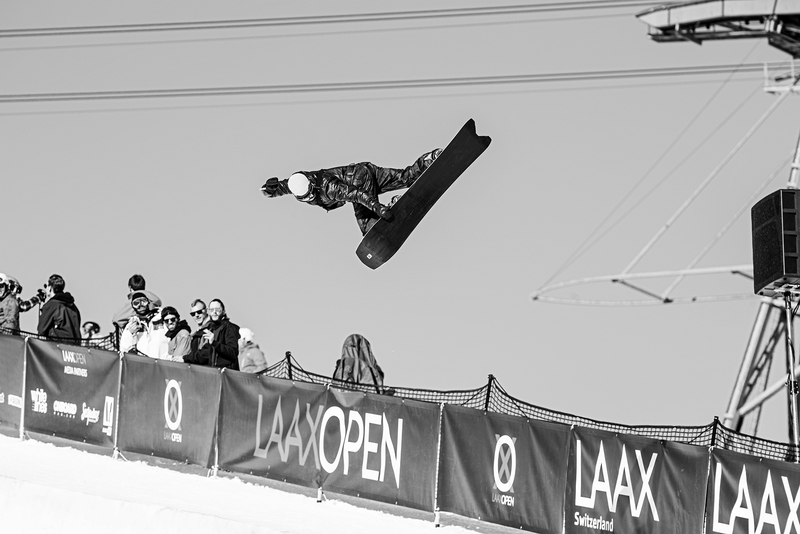 Here's Sebbe De Bruck doing his thing during the qualis. 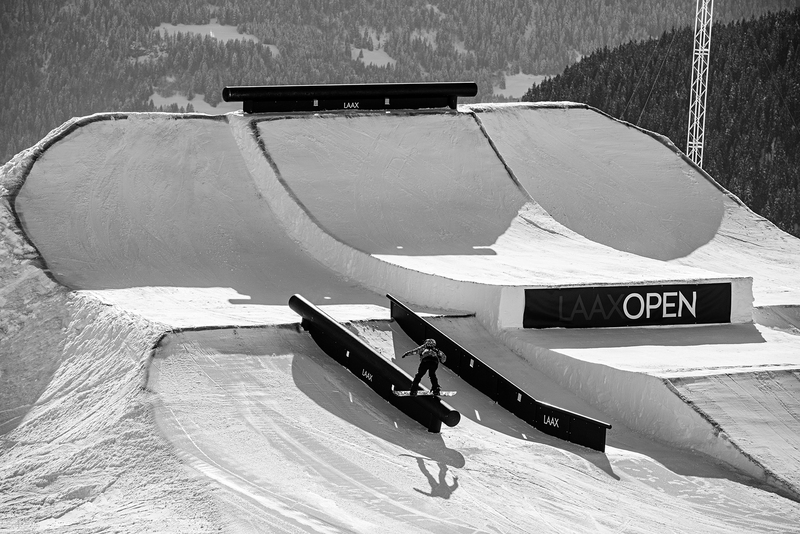 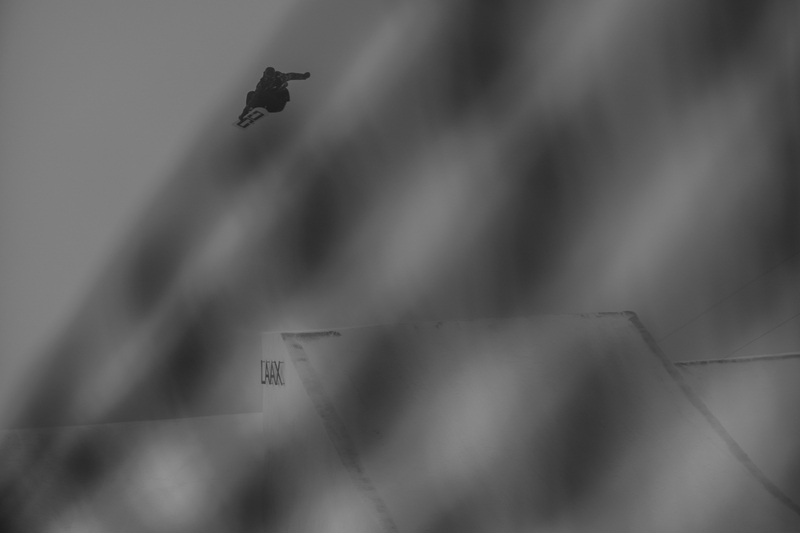 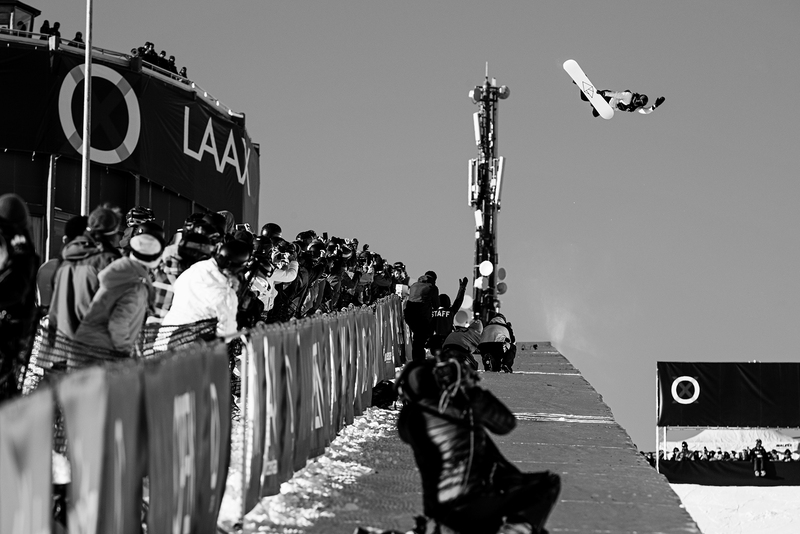 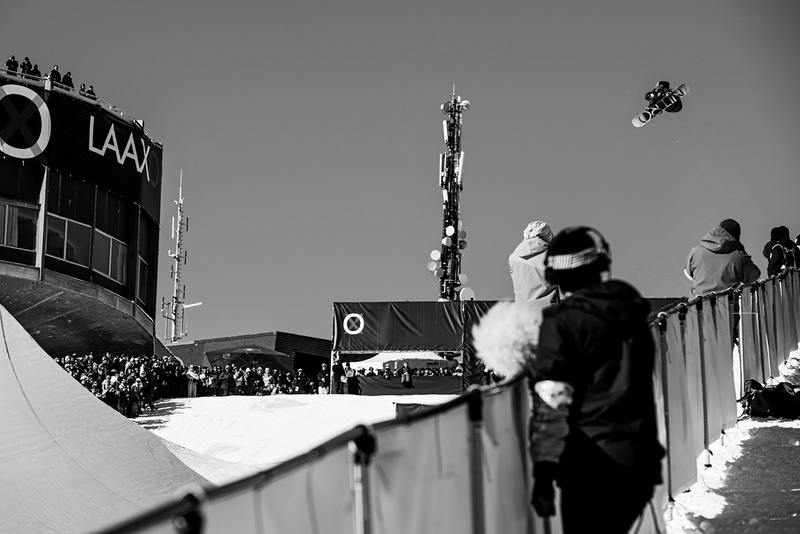 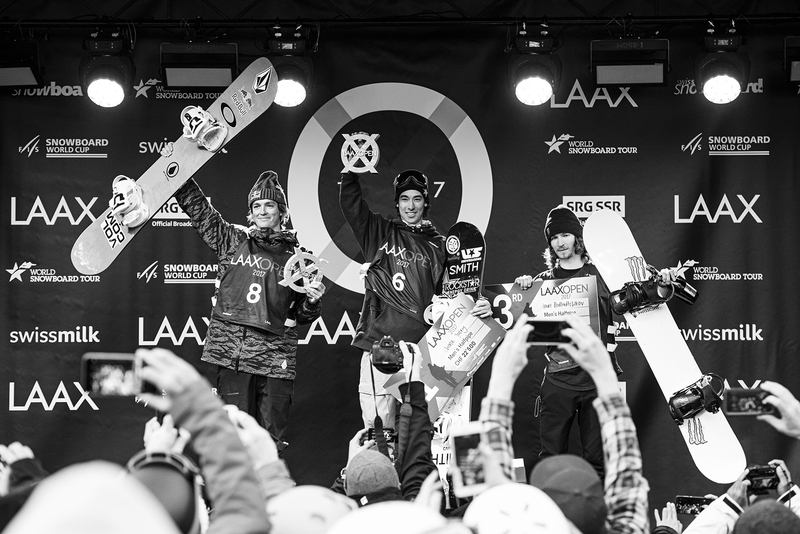 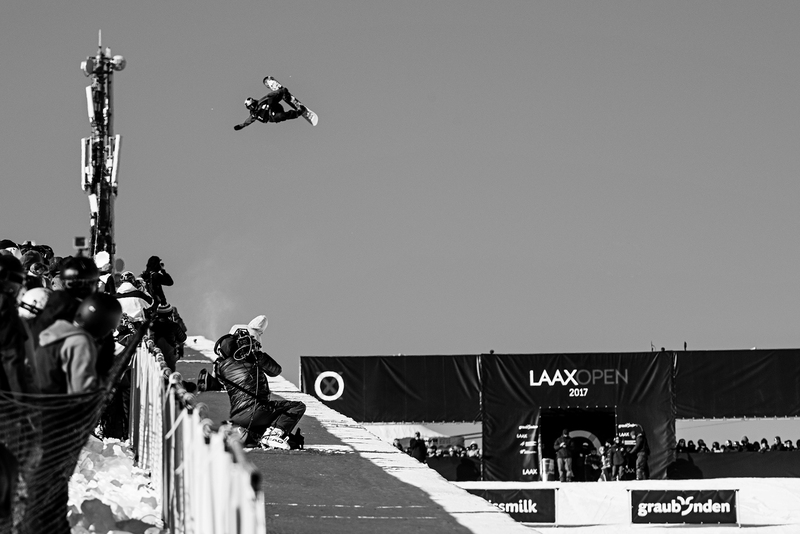 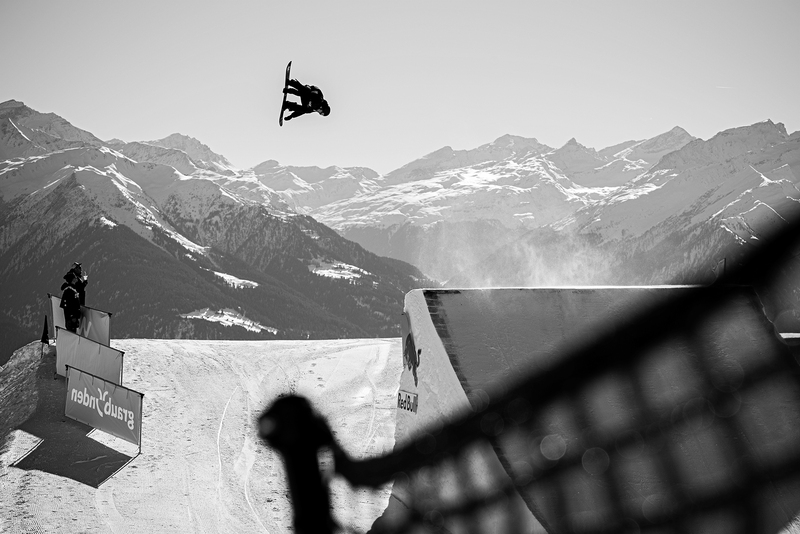 Luckily our local Laax shooter Aaron Schwartz was on hand when the skies cleared for the finals. 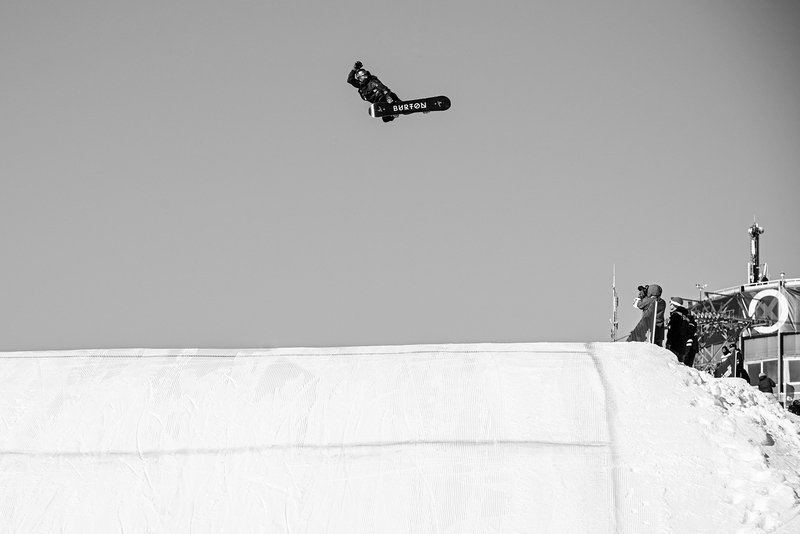 He’s been shooting this event for quite a few years now and we can always count on him to bring home some bangers. 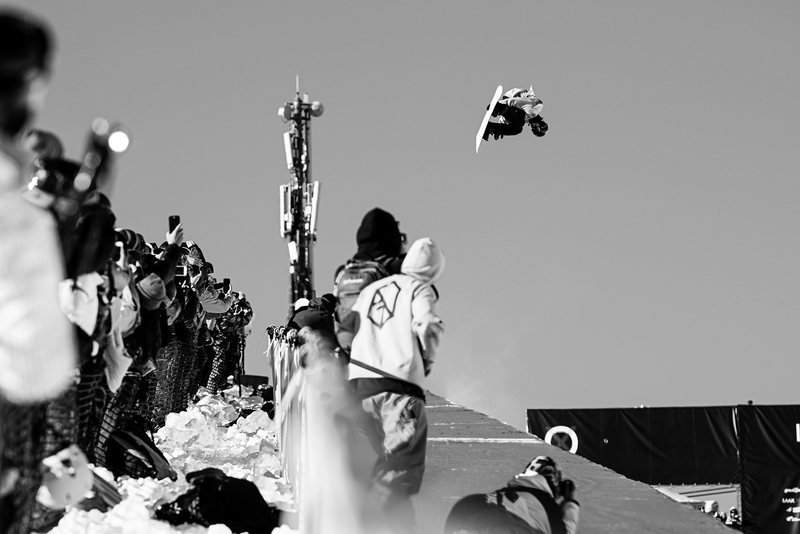 Here are just a few of our favorite moments that he captured on his memory cards. 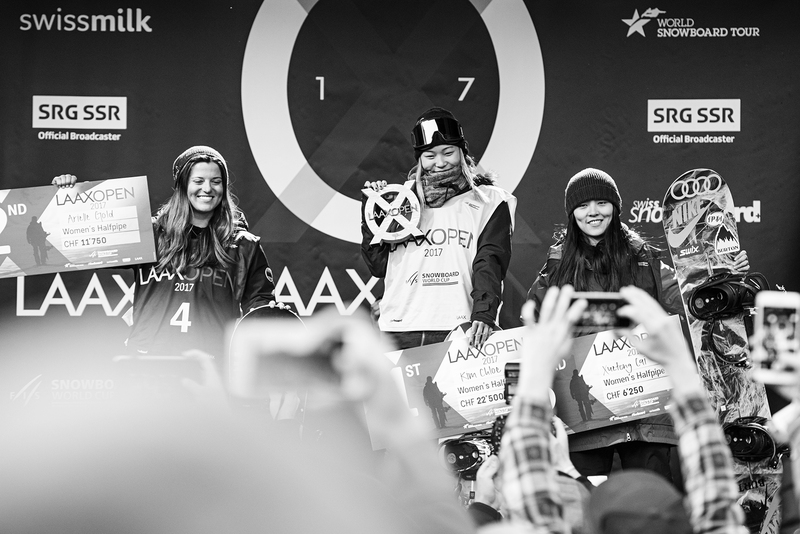 Black and white finals gallery © Aaron Schwartz. 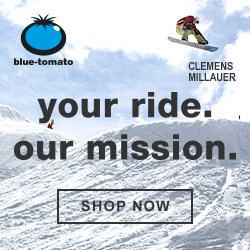 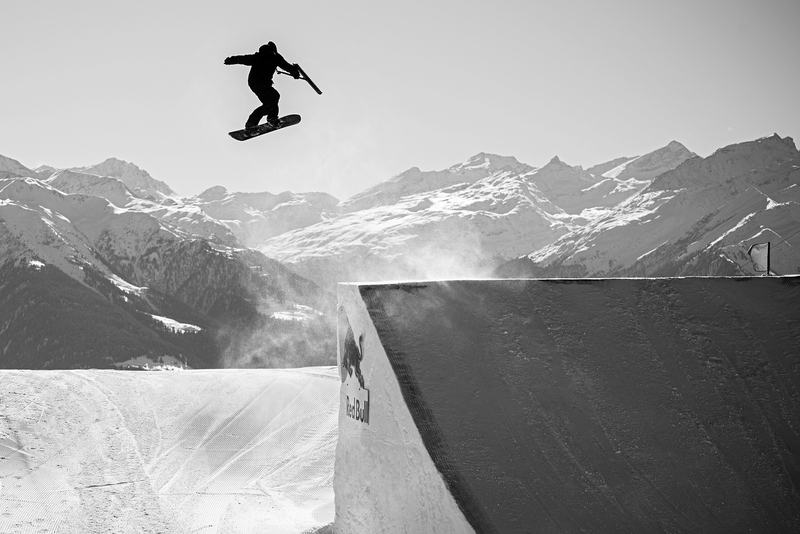 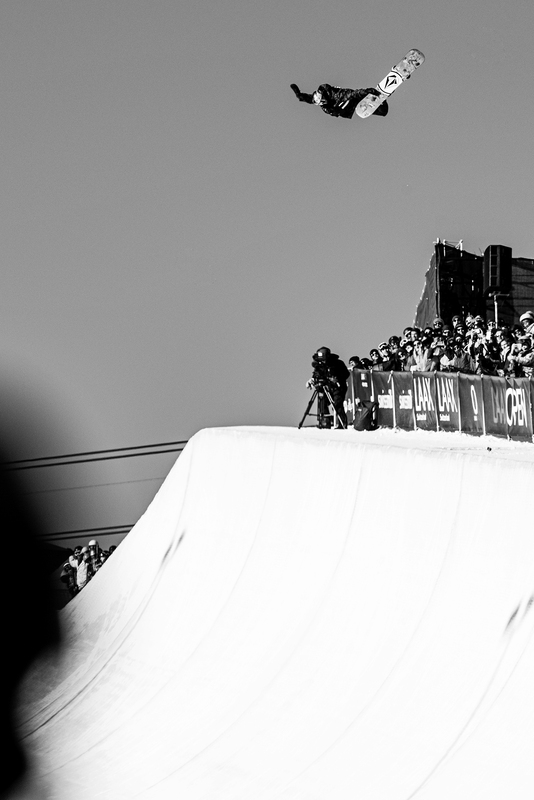 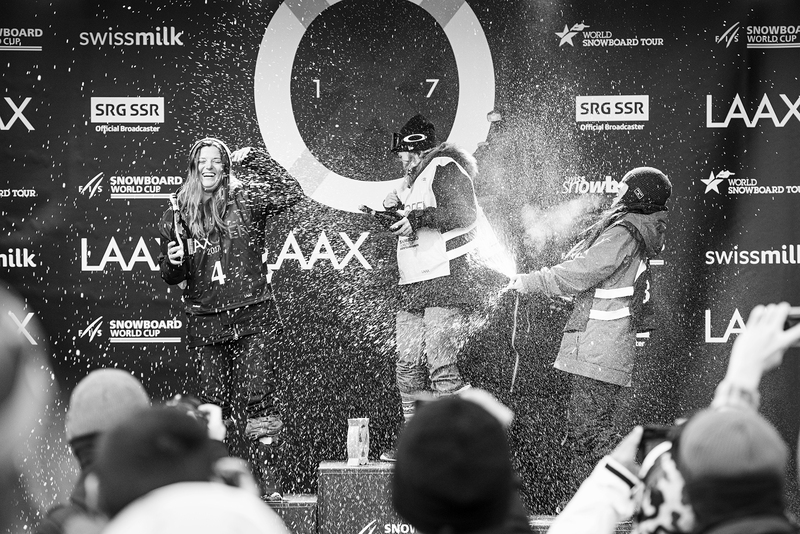 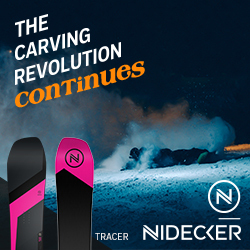 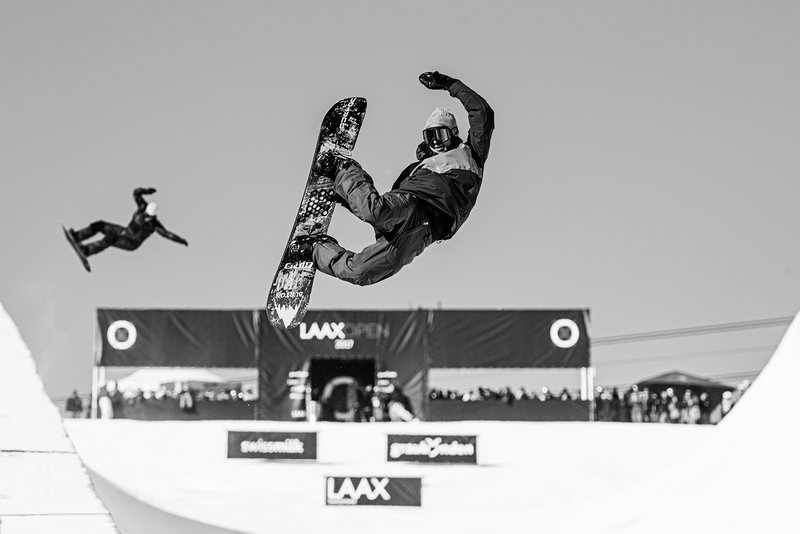 Check back tomorrow for some more colorful moments from Switzerland’s biggest snowboard event.